With the summer approaching and the sun being a more frequent visitor it's time to talk about hyperpigmentation and dark spots - how to prevent and treat it. Nowadays hyperpigmentation is nothing new. It's actually quite a problem in Europe, because of the excess of the sun. 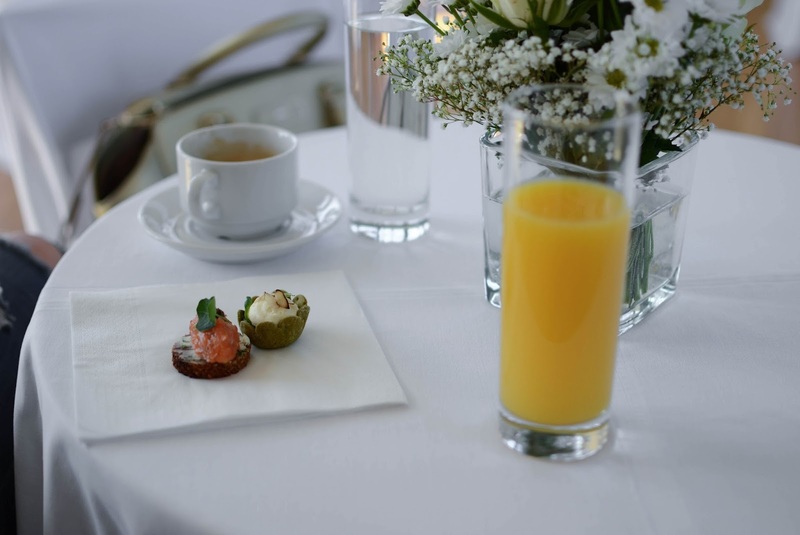 Pigmentation is a normal thing at 40-45 years, when there is starting to be an imbalance in our hormone system. But today a lot of young woman aged 25-30 also get dark spots. Using different cosmetic products from different brands at the same time. 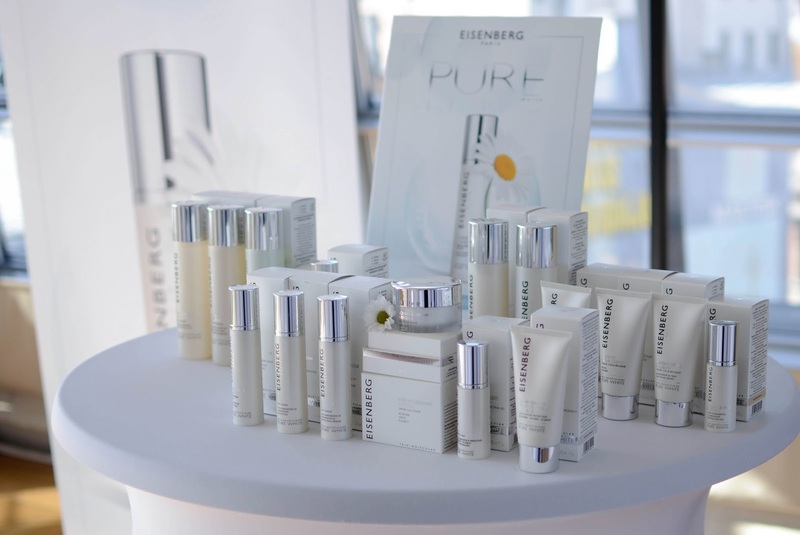 The problem is that the consumers are excited about different brands, products and they mix them without any knowledge about the formulation, because in fact not all the formulas work together and sometimes they can cause dark spots, especially if there are chemical ingredients or acids. Oxidation process. The aging contributes very much in the process of the melanin production. Now it does sound quite terrifying, but don't worry, let me introduce you with a line that can help us with this - treat and prevent. The Pure White line is Eisenberg's success of this year. 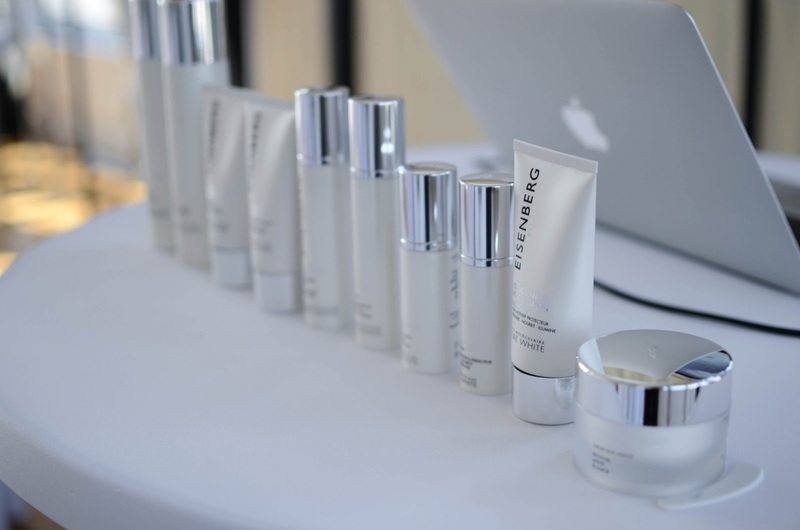 It’s an anti-pigmentation, anti-dark spots treatment line that is made with natural ingredients and is medically tested. The main two ingredients are Bellis Perennis (Daisy) extract and Vitamin C (it brighten our skin and is a powerful antioxidant). Also, as in all of the other products, they have added the trio-molecular formula. The special thing about this is that this molecule balances the production of melanin – before production, during and after. This line is something completely new on the market, because they have a completely different approach for the dark spots. So you can use it if you have an uneven skin and start treating it, or if your skin is still uniformed, but you want to prevent the possibility of dark spots. Note: this is not a whitening line! With that being said, this year they launched 6 new products. 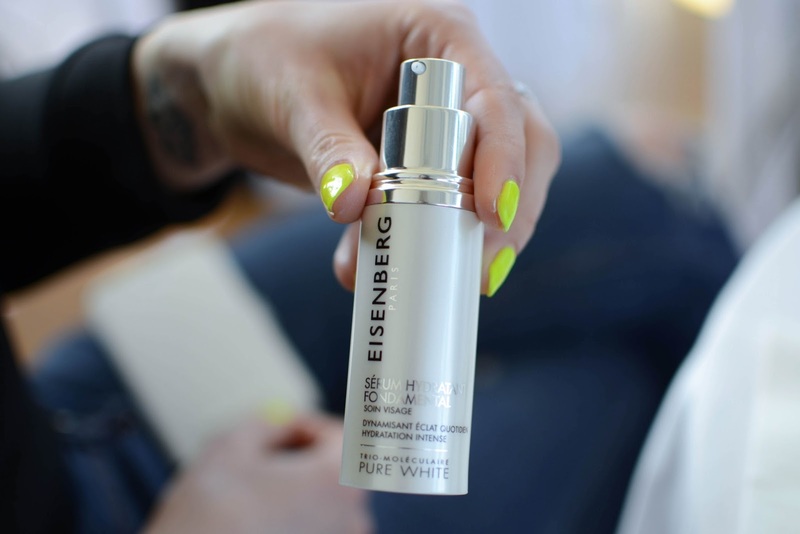 The only product with a whitening local effect for the dark spots is the Pure White Whitening Corrector – a creamy serum that is very easy to apply. It is for when you already have dark spots. The treatment must be used on all of the face, not just the problem area, for 56 days (you can see results in 2 weeks, but the best results are in 56 days). Note: During the summer, you don’t use it in the morning, just during the night. 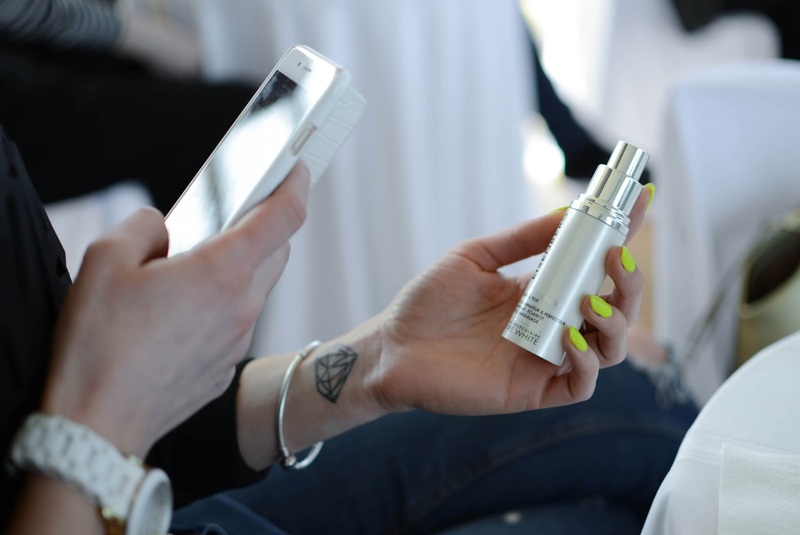 All year long the serum must be followed by a day cream with an SPF50. This day cream is very moisturizing, soft and light. It not only protects your skin from the UVA (the worst and harmful for our skin) and UVB rays, it also is perfect for anti-aging. Combination/oily skin owners rarely have perfect skin, there always are some spots. 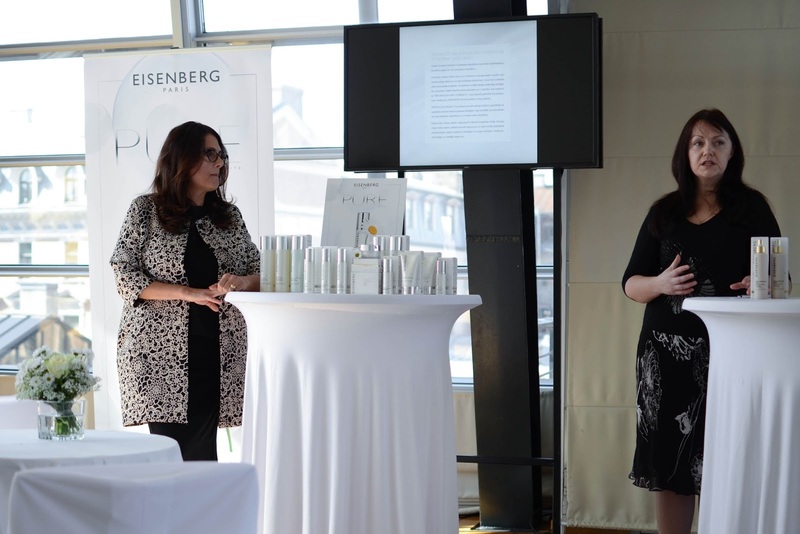 In the new launch there are two specific products to prepare, clean and rebalance the face tone. A gentle, fresh gel that you can use day and night. And a lotion with a rebalancing effect. Essential Moisturising Balm – perfect product for the season, very rich with Hyaluronic Acid. You can use it even if you don’t have dark spots, just for the moisturizing purposes. 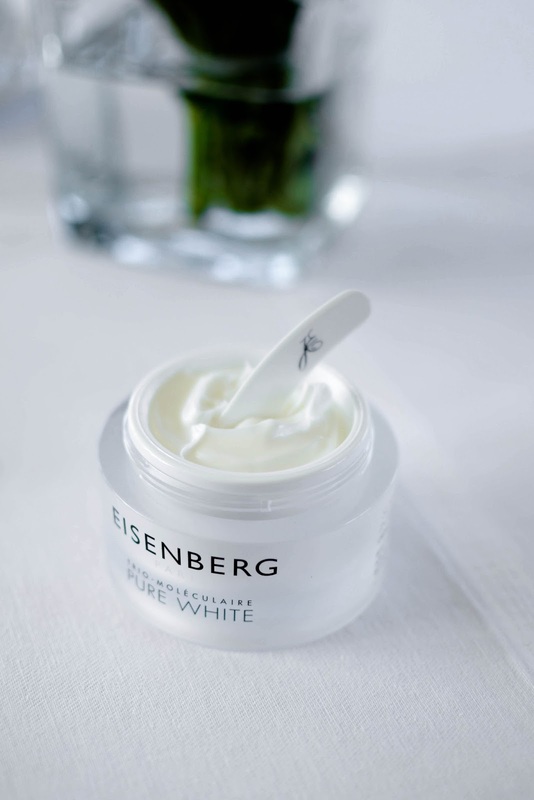 All- Over Nourishing Cream is perfect to use after exfoliation, to plump your skin and give it nourishment. It has the perfect texture for the Baltic countries, because it’s extremely rich in Shea butter, vitamin C and E and Daisy extract. Perfect to use after sports, sauna, swimming pool. You can also use it before applying the relaxing creamy mask. 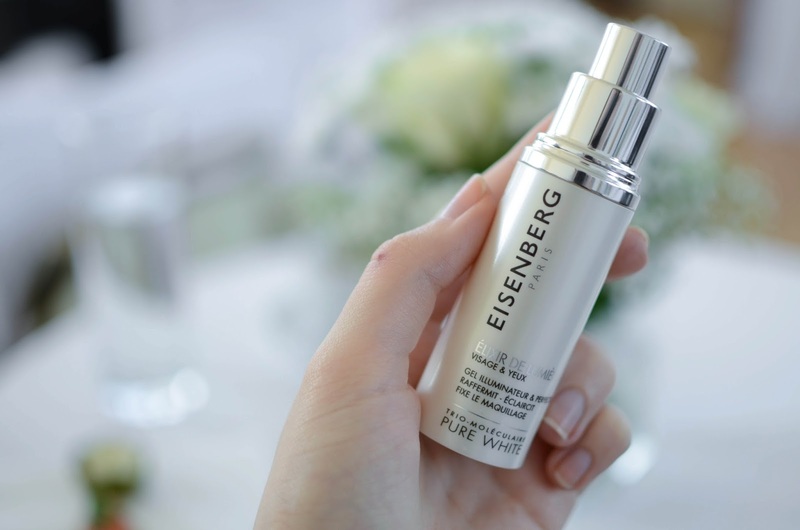 I was most intrigued by the Pure White Elixir – a product that can give you the perfect skin, boost your face and improve the contour around your eyes and lips thanks to the photo reflectors in it. 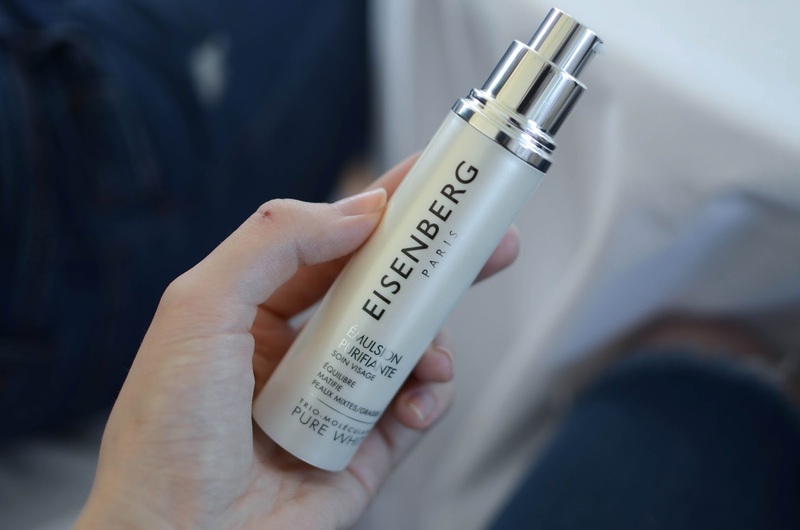 It contains: trio-molecular, Gingko Biloba (energizer), green tea, Daisy extract and vitamin C. You can apply it after your day cream, before your makeup or mix a small drop of it with your foundation. The dark spots are not the question of the skin, it can be very white and have them, also very dark and have them. The number of melanin for human is exactly the same – if you have white skin it doesn’t mean you have more or less than the one with darker skin. Very important - you can take the sun only 48 hours after epilation (face/body)! When you use perfume – don’t spray it on the skin! 95-98% of perfume has bergamot in it, so when those places hit the sun – you can get dark spots. They were also kind enough to give me some products to test, so I'll keep you updated! 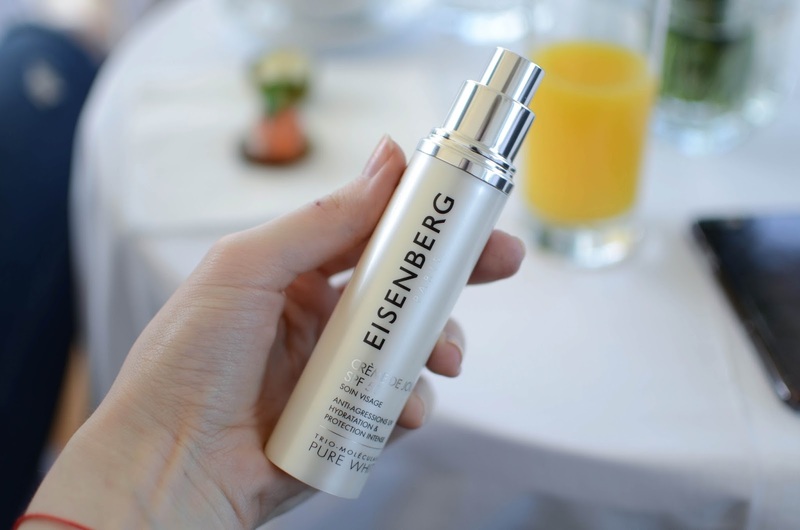 Have you ever tried anything from Eisenberg? 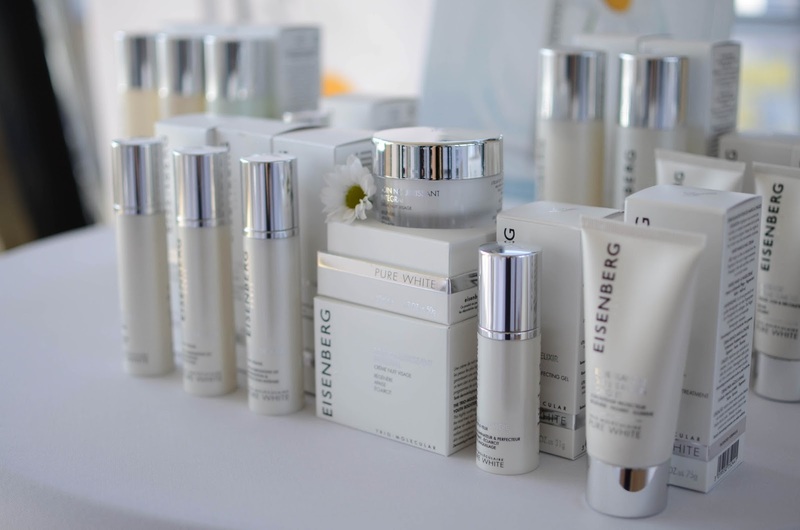 Are you ready to protect your skin from the sun? 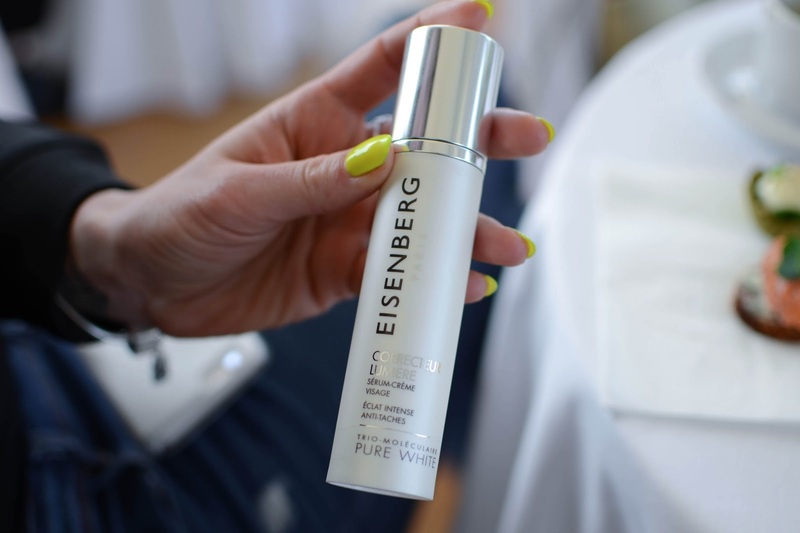 2 comments on "EISENBERG'S PURE WHITE"
Feins raksts! Jā, esmu lietojusi krēmu ādai ap acīm, toniku - tas vispār bija supermegalabs! Tagad lietoju šo, patīk! Sargāt no saules taisos un sargājos, bet, ak, mī un žē, jau iesauļoju strīpas uz rokām no staigāšanas ar ratiem. Krēms ādai ap acīm bija domāties tieši priekš zilajiem lokiem? Ļoti vēlos viņu pamēģināt. Uj, tad, laikam jāpalielina SPF uz iedegušajām vietām, lai nedaudz izlīdzinās iedegums? Vismaz tas ir pirmais, kas man nāk prātā.